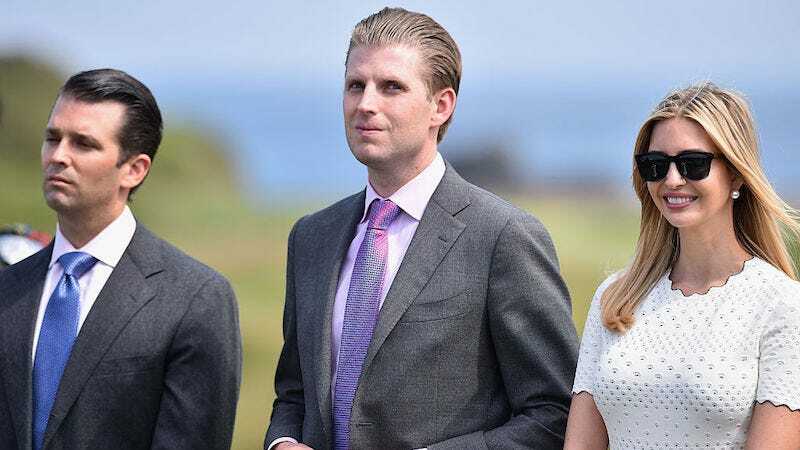 The New York Attorney General’s office announced on Thursday that it has filed a lawsuit against the Donald J. Trump Foundation and its directors, Donald Trump, Donald Trump Jr., Eric Trump and Ivanka Trump. The petition filed by New York AG Barbara Underwood alleges a “persistent violation of state and federal law governing New York state charities.” The petition outlines a “pattern of illegal conduct by the Foundation and its board members” that includes “improper and extensive political activity” and “repeated and willful self-dealing transactions,” as well as a failure to follow basic laws governing non-profits.” The petition also alleges that the Trump Foundation illegally coordinated with the Trump campaign. The Attorney General’s investigation found that Trump Foundation raised in excess of $2.8 million in a manner designed to influence the 2016 presidential election at the direction and under the control of senior leadership of the Trump presidential campaign. The Foundation raised the funds from the public at the nationally televised fundraiser Mr. Trump held in lieu of participating in the presidential primary debate in Des Moines, Iowa, on January 28, 2016.